Flash is dying. Yes, it is. And the day is not too far away! With Flash going to phase out completely by 2020, it is high time organizations act on converting their legacy online training courses to HTML5. A lot of decisions are to be taken to ensure the conversion is successful. 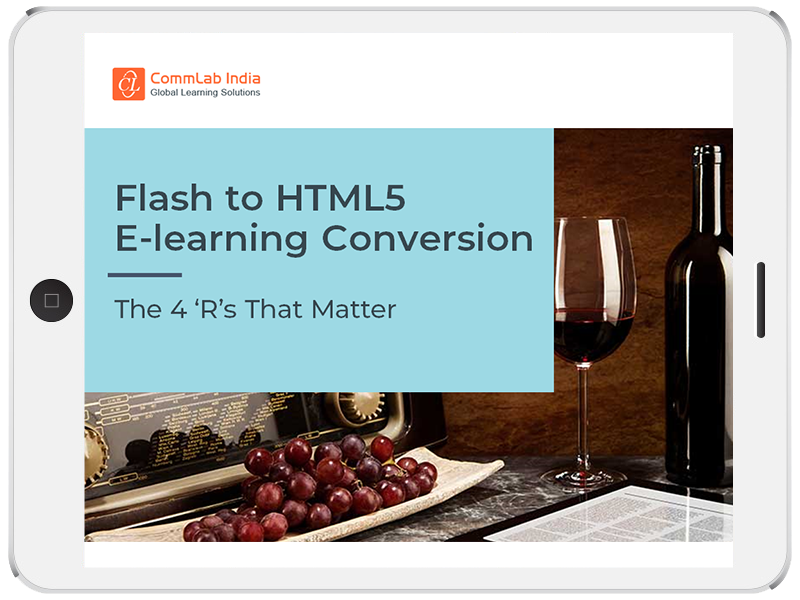 From selecting the conversion strategy to picking the right tool and vendor, all pieces must come together to successfully extend the utility of Flash-based elearning courses. This eBook is a handy guide that’ll take organizations planning to migrate from Flash on a smooth transition path. Checklists and action plans – check all it has.